Criminal Defense Attorney Thomas Kokonowski Massachusetts' New Opiate Laws | Law Offices of Tom Kokonowski, Esq. Massachusetts' New Opiate Laws | Law Offices of Tom Kokonowski, Esq. Posted on : September 8, 2016, By: Tom Kokonowski, Esq. Opiates are powerfully addictive drugs that doctors prescribe to ease pain after surgery or pain related to chronic conditions. However, opiates can lead to illicit drug use, arrest, and even death. In fact, Massachusetts passed new opiate laws in March 2016 that will place limitation on what doctors can prescribe. These laws also will provide addicted individuals more options for help. Individuals addicted to opiates will often exceed their own prescriptions and seek alternative ways to obtain the medication. 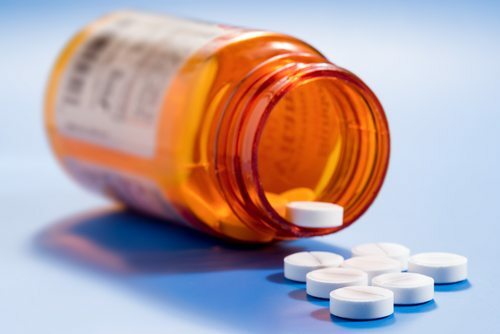 Additionally, the new laws limiting prescriptions may increase this behavior, since the new law makes it difficult to legally obtain enough opiates to fuel an addiction. Opioid medications are a Schedule II controlled substance. Consequently, if you possess opioid medications without a prescription, criminal charges can be filed. For example, a first offense could get you up to one year in jail and a fine up to $1,000, or both. In the event that you face an illegal possession of narcotics charge, contact a drug crimes lawyer who will advocate for your rights and who can connect you to recovery resources. Contact the Law Offices of Tom Kokonowski, Esq. today to learn more about your options in the face of a narcotic drug charge. Call (413) 585-9200 or (413) 549-0022.